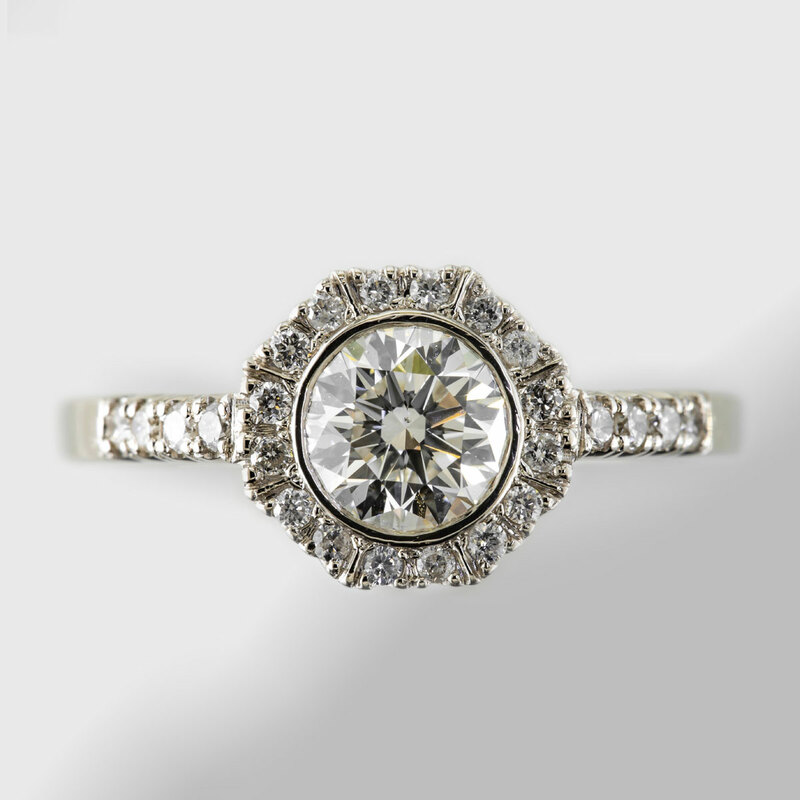 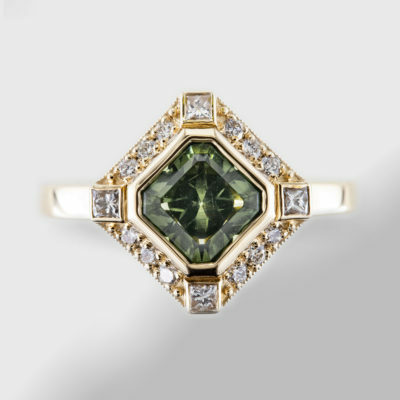 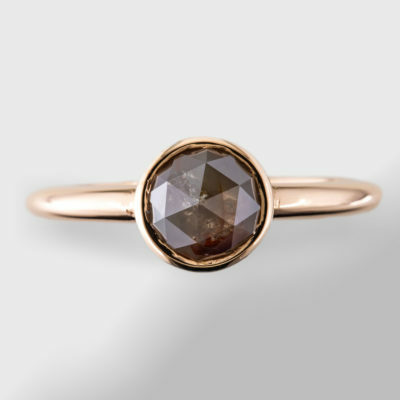 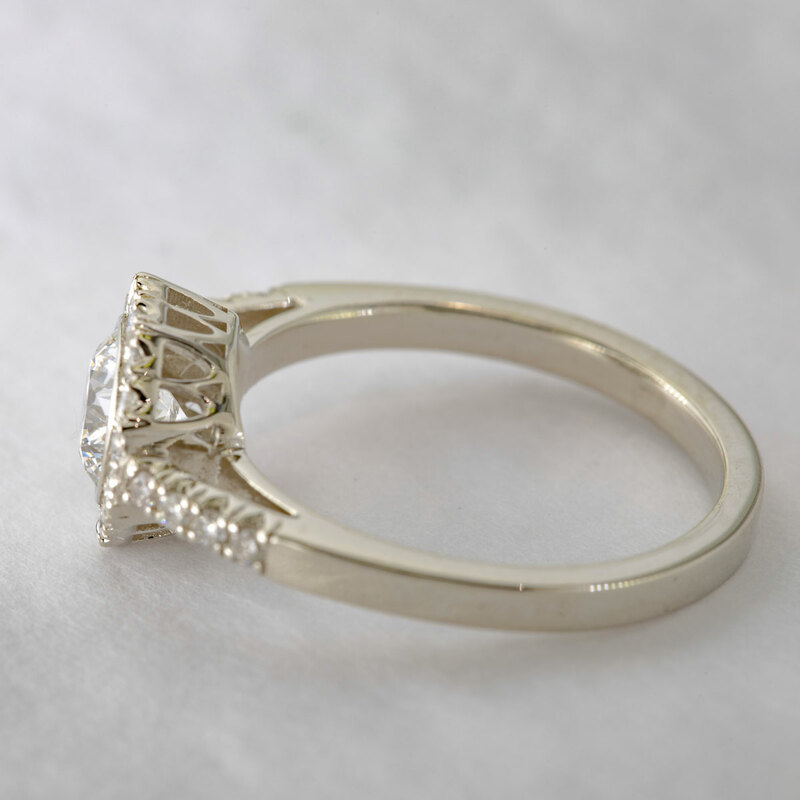 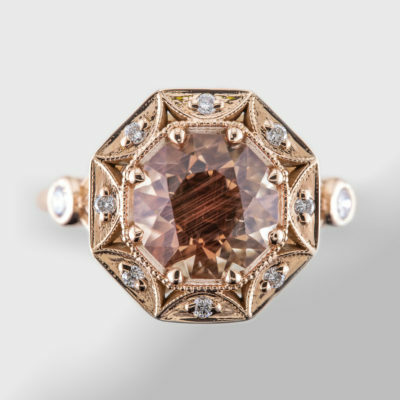 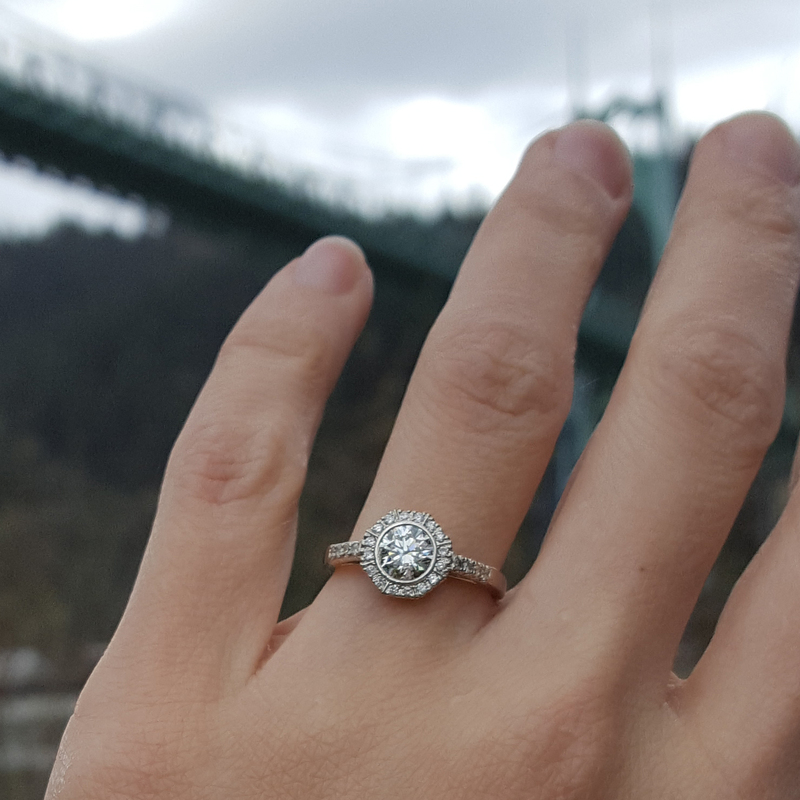 This cathedral setting diamond ring was inspired by Portland’s own Cathedral Park. 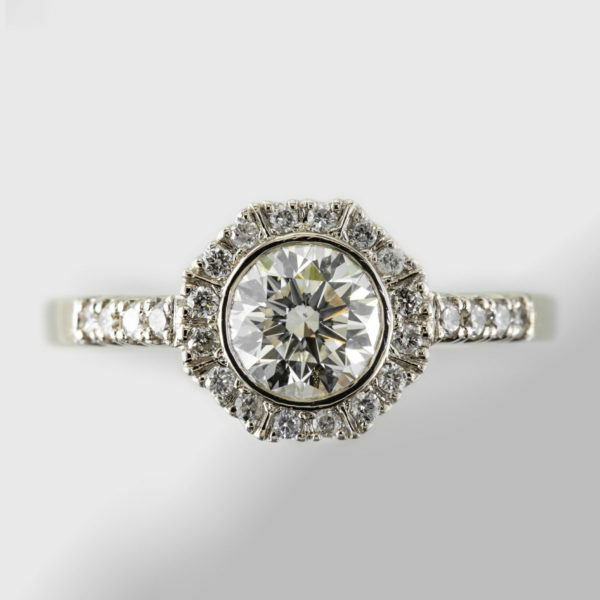 It features a round brilliant cut diamond bezel set with an octagonal halo with 16 matching round brilliant cut diamonds. 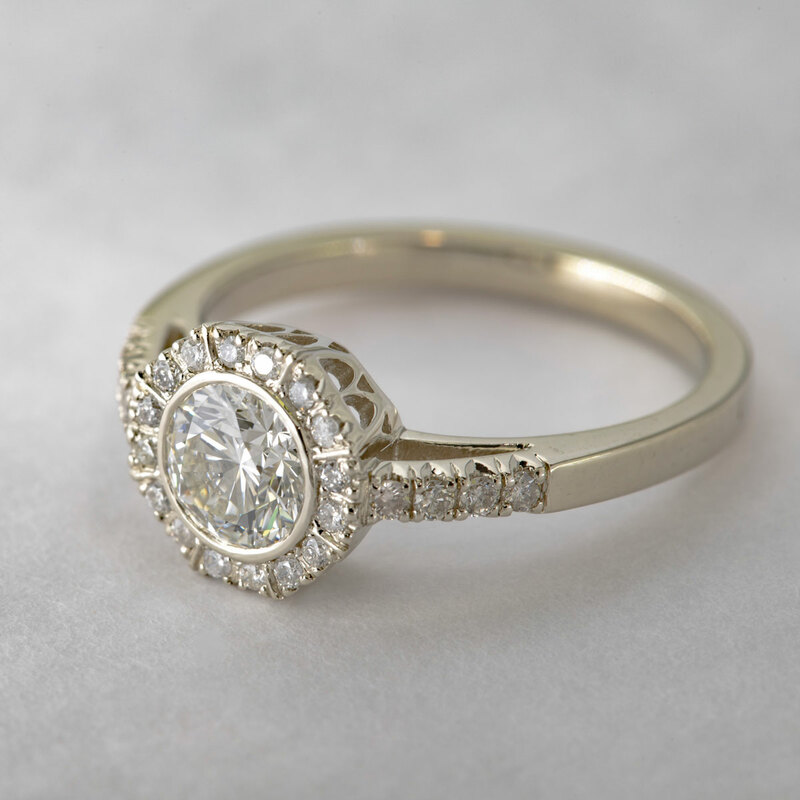 This ring can be resized to sizes 4 – 6 ½. 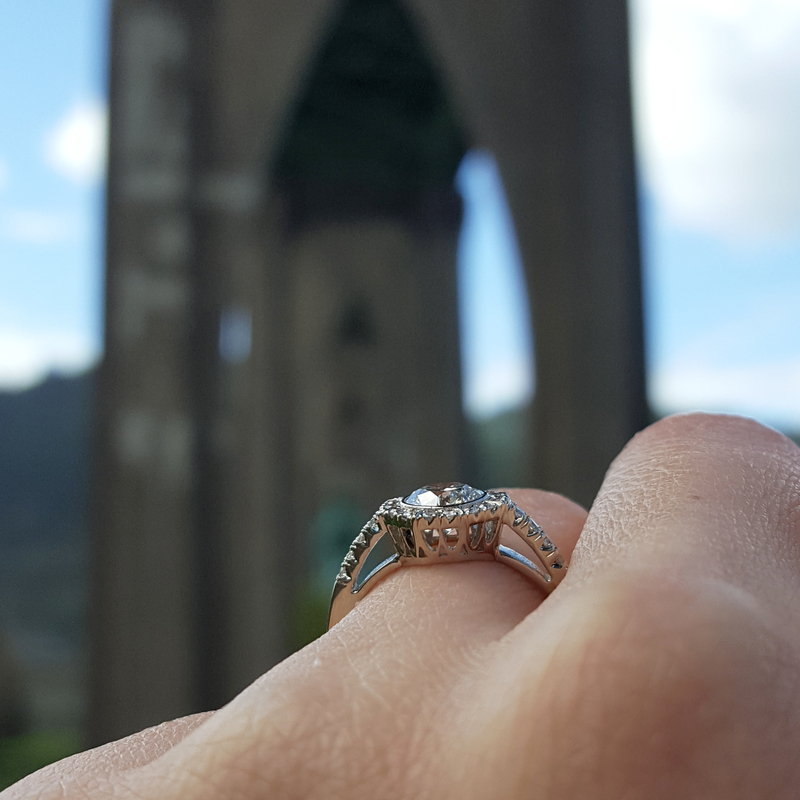 Please specify your size in the comments when checking out. 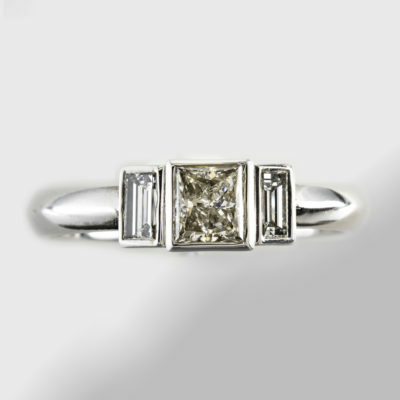 If you would like a size outside of this range please contact us to create a similar ring for you.